We encourage joining the AVSA. pictures and lots of useful information, including show schedules, vendors, local club information, and fascinating articles. The First Class Data Base that is run by the AVSA contains official registration and listing of violet cultivars from around the world. 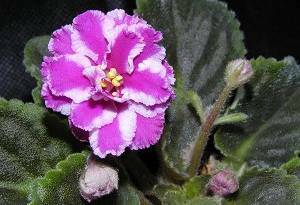 Visit the African Violet Society of America website to browse or to join.